Originally posted on the Basic Blog. 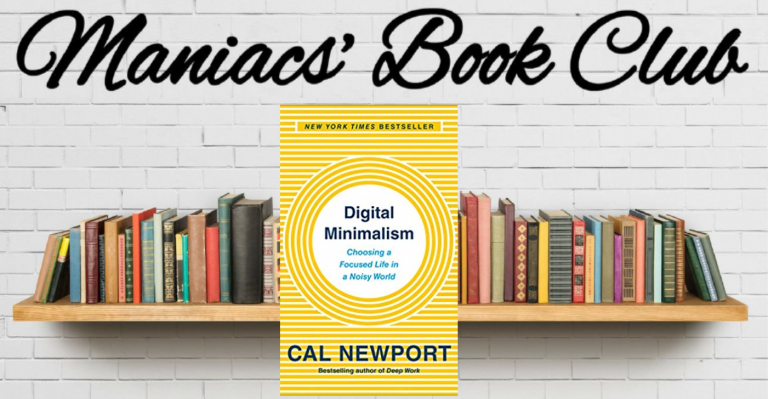 Digital Minimalism: Choosing a Focused Life in a Noisy World by Cal Newport is for everyone looking for Attention Management, not Time Management tools. In Digital Minimalism, Newport helps us learn to live in a world with constant distraction. Most of us are addicted to our screens, but research shows that if you spent a large portion of your day in fragmented focus, it will eventually permanently reduce your ability to concentrate for prolonged periods of time. Are you a Digital Minimalist or a Maximalist? How many Apps do you use daily? Can you have lunch with a friend or loved one without looking at your phone? What do you feel when your phone is not near you? What is the longest you can go without checking your notifications? Which App do you spend most of your time on, and how important is that App to your real life? Most people, adults and teens alike, are experiencing higher levels of anxiety because we’re never getting enough downtime. Find a small amount of time everyday to just let my brain rest and wonder without consuming any new information. Digital Minimalism: Choosing a Focused Life in a Noisy World by Cal Newport is available on Amazon. This post originally appeared on the Organizing Maniacs blog. Tidying Up with Marie Kondo on Netflix has everyone talking about my absolute favorite topic - organizing! Marie Kondo’s warm personality and cleverly named tidying method (Konmari), along with an exceptional PR team, have done an amazing job highlighting a growing issue in American households - too much stuff and clutter! As a Professional Organizer and fan of transformational stories I couldn’t wait to watch her show. If you’re wondering what all the fuss is about, I’ve outlined 5 key lessons from her show. In nearly every episode, whether it was a couple or family, the theme that everyone should be involved in the organizing process was constant. Too much dependency on one person (often the mother) caused stress and tension within the family. Just as Marie Kondo did in episodes 1 and 2, I remind my clients that it is never too early or too late to involve your children in organizing and maintaining a system. Learning to organize as a child sets them up success as an adult. It also, alleviates stress and burden on the parent’s shoulders which frees their energy and time to focus on other things. It’s a win-win! This is an essential step that often gets overlooked. I always ask clients what their ideal vision is for the space before we start. Visualizing how the space will look, feel, be used for, who will use it – all helps create a guide for making decisions through the organizing process. Once there is a clear vision, it is easier to decide if an item fits into that vision. If it doesn’t then it should go elsewhere (to another room or out of the home completely). If it does fit the vision then it stays in the space. Create your vision and write it down if that is helpful. Marie Kondo’s 4th category to tackle is called Komono. It is the miscellaneous category that includes: kids, office, cleaning, kitchen (that’s a big one), garage, decor, and bathrooms. It can seem daunting tackling the Komono category when you see the list of all the spaces and items that fall into it. Just two of those sub-categories are heavy just to think about (kitchens and garages). Kitchens (especially American kitchens) have become complex family hubs that serve as more than just a place to prepare and enjoy a meal. Don’t get overwhelmed. Take it space by space, subcategory by subcategory and item by item. Marie Kondo does not address this in her series but for me it kept coming up in each episode. Whether it was episode one’s the friend family saying they don’t have time to do the laundry and pick up or the couples in the last two episodes, it takes time to maintain the organizing systems. Finding time is difficult for most households. With any new system there are steps to maintain it. I wish Kondo had discussed with the clients how to create time to implement these steps or build time in their current schedules. If many of her clients could manage their time more efficiently they would probably have better success staying organized. So many people are worried that an organizer is going to tell them to toss everything and lead a minimalist lifestyle. That’s a myth. I was so happy to see that Marie Kondo’s show wasn’t trying to make each family a minimalist. She did not walk in and try to convince everyone to get rid of 50% of their items. There wasn’t a set amount. The end results of each transformation was practical and un-staged. It did not look like producers came in with a team and polished a set. Each space represented the clients but with a more purposeful vision. Bonus Lesson: You don’t have to do it alone! This post originally appeared on the Practically Organized blog. FOMO. A reality that most of us frequently encounter. It’s hard to say no to invites from friends, fearing we’ll miss out on the fun. It’s hard to stop scrolling endless feeds fearing we might miss the latest happenings in the world. It’s hard to let information pass us by. But FOMO (short for fear of missing out) is simply an illusion. If we’re not careful, it will pull us away from the experiences that really matter most in our lives. And if that happens, we’re really missing out-on what truly matters most. Last year I made the decision to cancel my reservations for two conferences that I’ve attended for the past few years. I absolutely love attending these conferences but several factors contributed to my decision not to attend. During the time the conferences were happening, FOMO kept trying to rear its ugly head and it wasn’t easy to keep it at bay. Ultimately, I had to stay focused on my reasons why I chose not to attend and I had to keep trusting that saying no to these events was giving me the ability to say yes to more perfectly aligned opportunities that lie ahead. I’ve since won out against FOMO in other ways but fighting the battle of is not easy! 1. I’ve accepted the fact that I will NEVER know it all. The unknown is hard for most of us. And being able to find out almost anything with the push of a button can leave us feeling discontented if we let it. I’m learning to accept the idea that it’s okay not to know the details of things and there’s significant freedom in that. 2. I’m going deeper, not wider. 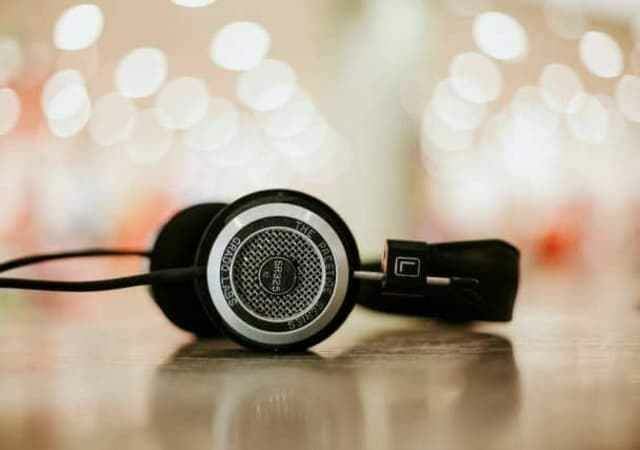 After casting a wide net in the early years of my business and exploring several areas related to simplifying and organizing, I eventually landed on a few that I really love most. My word of the year, convergence, sums it up pretty well. I love learning new things, but I’ve found that digging deeper rather than wider still fulfills my thirst for new knowledge and ideas and keeps me from experiencing FOMO on the things I choose not to pursue. 3. I’m learning to listen more and use teamwork. Rather than focus on consuming everything by myself, I’m enjoying a “divide and conquer” approach to receiving information and participating in activities. I’ve found sharing information and truly listening to what each other has to share to be more fun than trying to consume it all myself. And I’m enjoying hearing others share their stories about experiences I chose not to participate in. 4. I’m trusting my gut and I’m believing that I will have what I need when I need it. I enjoy the flow of life and I live close to the ocean because of the constant flow of the water. Sometimes the tide is going out and sometimes it’s coming in. I trust that everything in life follows this pattern and that the universe is always working for us. 5. I know that by choosing to say no to something, I am creating space to receive even better, more aligned opportunities. Within a few weeks of canceling my conferences, I was presented with an opportunity to participate in something that was perfectly aligned with what I needed right then. By saying no to the other two conferences, I was able to say yes to this instead. And I’m grateful that’s not something I had to miss out on. Lisa Luken, ACC, helps women simplify their lives and discover their bold, brave and beautiful selves in the process. She is a Simple Living Coach & Consultant and offers keynotes, workshops and retreats focusing on getting organized and simplifying. It can feel impossible to find a healthy balance between raising a human and being a human. But Julie Morgenstern offers parents remarkably practical strategies that organize the seemingly infinite job of being a parent into a manageable set of responsibilities that are relevant from cradle to college. Her clear, nonjudgmental approach will help you see what you’re doing well, where you could be doing better and how even small changes in your own behavior can yield big results. Based on her forthcoming book, TIME TO PARENT, this presentation will empower you to juggle the priorities of the parenting years, as you create regular quality time with your kids -- and for yourself. Stay present and focused, whether you’re playing with your kids, enjoying a meal with your significant other, or tackling a big work project. Share the joys and burdens of running a household by engaging in honest dialogues your spouse and children and learning new ways to divvy up the work. Get more out of short periods of time by seeing how 5-15 minutes of undivided attention can be exactly what your child needs, and make you feel whole. Give yourself permission to take personal time without feeling guilty, and the science and case studies that show how important self-care is and how to make time for it. For children, regular quality time with a parent is as important to their development as food or shelter. TIME TO PARENT empowers moms and dads to celebrate what they are doing well and learn simple strategies to improve in the areas where they fall short. Whether we have children ourselves or we consult or coach our clients that have children, we’d benefit from Julie’s expert perspective. 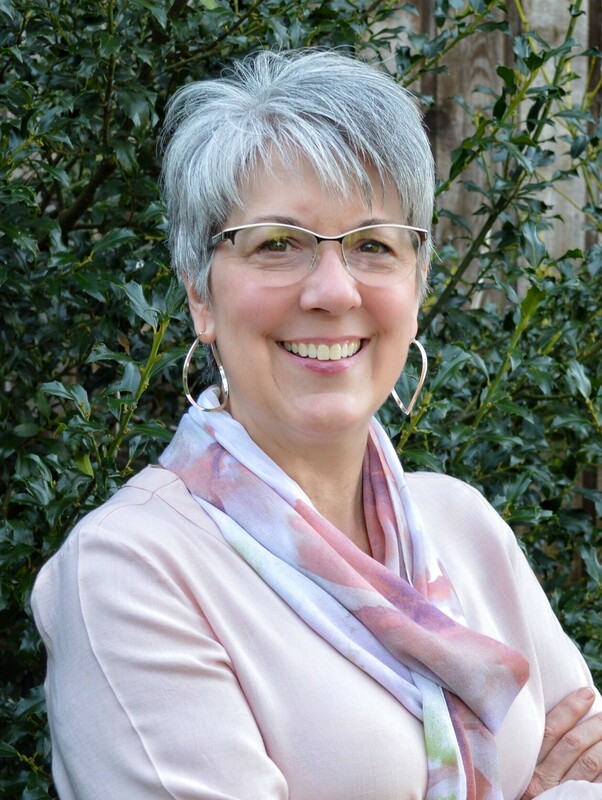 Julie states: "I have a big history of book events in DC, which has included speaking at the National Book Festival with the launch of my last book SHED Your Stuff, Change Your Life. It was a huge turnout, and it made me feel very connected to readers in Washington DC. This time around, having the chance to speak with families and to help them better organize their lives so that they can have quality time with their kids and for themselves is something I am very much looking forward to sharing." We are excited to hear her topic development and take away points for our clients and to implement in our own lives as productivity professionals. We warmly welcome you to join us for this momentous event on Saturday October 20, 2018 in Arlington, VA. If you’ve been working with clients as productivity consultant you probably already know the value in helping your clients understand how they spend their time will directly affect how organized they are or how organized they will stay after you’ve worked to get their homes or offices in order. In most if not all organizational systems and strategies, there is a maintenance piece to keep the things put in place in place. But what if your client just never seems to find the time for maintenance, how can we help them to discover ways of being better organized by helping their productivity? Casey Moore, CPO®, COC will speak to us at the Successful Productivity Event to give or to sharpen the tools to help our residential clients become more productive in their lives. What would that look like for your residential clients? What would it take to help clients with workplace productivity? Casey will share everything you need to know about productivity, but were afraid to ask. Or didn’t think to ask. She shares her experience and that of other productivity consultants so that you can learn from their lessons and avoid their mistakes. Even if you thought you didn’t care about productivity, you might find that it could enrich your current work…in more ways than one! Casey helps busy professionals regain control of their work and lives through her book, Stop Organizing, Start Producing, workshops and one-to-one coaching. She has a passion for bringing order out of chaos and helping people produce more of what they want in life, whether that’s peace or peak performance. 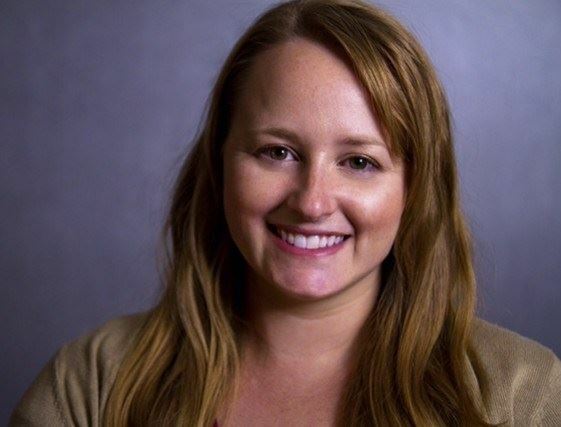 A proud member of NAPO, Casey currently serves as a Director on the national board for NAPO and on the Board of Certification for Professional Organizers (BCPO). She became a Professional Organizer in 2000, focused exclusively on Productivity Training in 2005, earned her CPO® in 2007 and became a Certified Organizer Coach in 2011. She has led many sessions for NAPO and ICD. Join us on October 20, 2018 at the Successful Productivity Event in Arlington, VA where we will look forward to learning strategies to help our clients’ organizational systems more sustainable when they use their time more effectively! How to be encouraging and believable to your client affected by ADHD. Clients that have ADHD or many of the symptoms of ADHD in an organizing situation need to prepare emotionally to confront their possessions. They have most likely struggled their whole lives managing their possessions with little success and a lot of negative feedback from others in their life. They have spent their life hearing they are lazy, procrastinators, unfocused, easily distracted, poor at follow through and so many other negatives. Therefore I think it is important to be conscious about being encouraging throughout the organizing process. The best way to do this is to make sure you are making not just subjective comments but also objective comments. Subjective comments are “That’s great,” “Good job,’ and the like. Objective comments are observations of fact such as “You got rid of 50 books,” “I see that you got those papers filed away completely.” These observations interspersed with subjective comments will make the subjective comments mean more. So that when you say “Good job” it has meaning and is heard as truly encouraging. It makes our comments more believable. Only giving encouraging subjective comments may cause a credibility gap between you and your client. Abigail Wurf, M.Ed., PCC is a certified coach who works with people affected by ADHD. She works with people in greater metropolitan DC area in person and over the computer or phone. To learn more about Abigail’s services go to www.abigailwurf.com. Write a shorter to-do list. get to bed earlier? Maybe turn off the electronics early. sleep more soundly? Maybe don’t drink any alcohol or spicy food in the evening, or maybe do some exercise during the day to use up some extra energy. your boss has schedules a last-minute meeting that you have to attend. Can you delegate the work you were going to do then? the kid’s carpool doesn’t happen and you have to cancel your gym visit to drive your son to practice. Can you walk around the field while soccer practice is happening? turn off the distractions when you need to concentrate on something else. set times during the day when you’ll check email and social media, then don’t do it any other time. what is the worst thing that could happen if I made this decision? Write it down. making sure your to-do list includes things like exercise, hobbies, or any other personal activities. scheduling yourself on your calendar. It is your calendar, so you should see yourself on it, not just what you need to do for others. Productivity is more than just a buzzword for managers and executives. As the generation of “there’s-an-app-for-that” continues to be glued to our phones to do more and more from banking to baby-sitting, we are all looking for balance in getting through our to-do lists. In the world-famous productivity guru David Allen’s book Getting Things Done, there is a flowchart that asks one simple question: “Will it take less than 2 minutes?” If the answer is Yes, we are directed to “Do it” if the answer is No, we are directed to either “Defer it” or “Delegate it”. Most people are productive on some level. They get up every day. They go to work. They are getting things done. But, they want to be getting more done. And, that’s what this Getting More Done session is about. How do you get more done? It all comes down to four overlapping productivity themes Ray Sidney-Smith productivity-technology expert and consultant has observed over the past 20 years. Ray Sidney-Smith is a perennial Small Business advocate, working tirelessly to helps small businesses launch, grow, and succeed in the marketplace each and every day.Ray Sidney-Smith (rsidneysmith.com) is the President of W3 Consulting, Inc.(w3cinc.com), a consultancy providing small businesses throughout the United States with practical approaches to business development and management/operations using Web, mobile, social and digital technologies. As a Digital Marketing Strategist, Productivity-Technology-Management Consultant, Google Small Business Advisor for Productivity, Evernote Certified Consultant, and Hootsuite Global Brand Ambassador, Ray is often hired or invited by economic development authorities, chambers of commerce, small business development centers, convention and visitors associations, and small business advocacy & support organizations to speak to SMB audiences and conduct strategy sessions with small business owners on a myriad of management, Web,Mobile & Social Media marketing topics. Ray is the author of SoLoMo Success: Social Media, Local and Mobile Marketing Small Business Strategy Explained (2nd Edition is available through Amazon in Kindle, paperback, and Audible audiobook versions).Ray has just published Getting More Done: The Science and Principles of Greater Personal Productivity. In his spare time, Ray has been organizing the two largest productivity MeetupTM groups in the United States(in DC and NYC) based on Getting Things Done by David Allen over the past decade. Ray uses his education and passion for psychology, cognitive neuroscience, and time, task, team, and project management, in coaching and training professionals on personal productivity methodologies and supporting them at different stages of their systems implementation. He holds regular personal productivity, marketing/management, and technology workshops and seminars, hosts and facilitates Productivity Book Group (productivity bookgroup.org) podcast, #ProdChat (rsidneysmith.com/prodchat)--the weekly #productivityconversation on Twitter, hosts Productivity Cast, the weekly show about all things personal productivity(productivitycast.net), and produces Prod Pod, the podcast of productivity lessons in two minutes or less(prodpod.net)--named by Inc.com as one of the top 10 productivity podcasts of 2016 and 2017 and by BusinessInsider.com for 2017. What else takes 2 minutes? Deciding to join us for this wonderfully educational seminar on not just getting things done but getting more done! We’ll see you on October 20th in Arlington, VA! I often wake up with a good deal of energy, ready to jump out of bed and start my day. This is great however, I have learned if I STOP first and THINK, I am more efficient overall. STOP before your feet touch the floor in the morning and you get out bed. THINK about your day. What are the two things that you could accomplish today that would make you happy when you lie back down in bed tonight? Just TWO! Choosing two objectives will often set you up for success, rather than allowing others’ interruptions and priorities to take your day and run with it. STOP before you jump in the car to run errands. THINK about what you need to accomplish. THINK about the rest of your week. Are you going right by a store on Thursday? Can this errand wait until then? Perhaps create a crude map with the errands listed. This can save you hours of darting to and fro with no real plan. STOP before jumping in to declutter your desk. Many folks want to first take care of all the easy items to get them out of the way. Tackling the easy things first may use up all the time you have allotted and may not allow you to get to the more important and urgent items. STOP to create lists and piles as you THINK about your priorities. First tackle a big fat important task, then a few quickies. STOP often. Be mindful. Allow your body and your mind to rest. Allow down time for yourself, giving your mind a chance to THINK creatively about your priorities and provide you a more efficient day. Once a quarter I try really hard to take a day off. I pack a tote bag of papers and books and spend the day sitting in a Panera. Time away from the house (laundry, dishes, meal prep, etc) allows me to let my mind STOP and THINK. It allows me to focus on the important priorities in my life. How is my family? How is my home? How is my business? What is working? What have I been thinking of trying? Having time to STOP and THINK renews my energy and allows me to focus. Days like these leave me feeling energized to move forward to achieve new goals. After 20 years in the Corporate world, Sandra Wheeler found her passion and her peeps in NAPO. She has earned her Specialist Certificate in Residential Organizing, as well as Workplace Productivity. Sandra served on the NAPO-CT Board from 2008-2016 and received the Founders Award for her contributions. In 2016, Sandra earned her Feng Shui Certification from the New England School of Feng Shui.